Anyone living in Antwerp will know this place, and has probably been numerous times (if this isn’t the case, shame on you). For anyone living outside of Antwerp, this is probably one of the best tips I can give you for when you’re visiting my hometown. 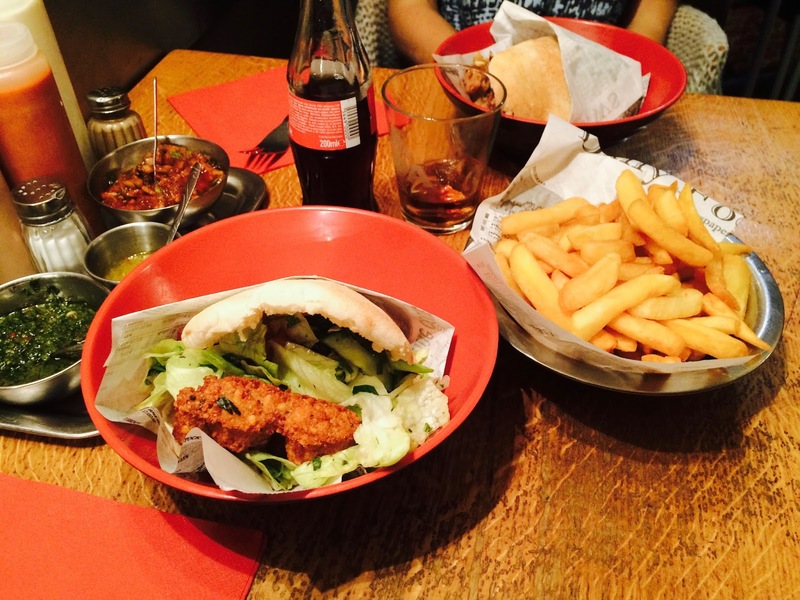 Finjan has received numerous prizes and is probably in the top three cheap eats in Antwerp. It’s nothing fancy, just a simple restaurant with delicious fresh food. Finjan is famous for its pittas, of all kinds. 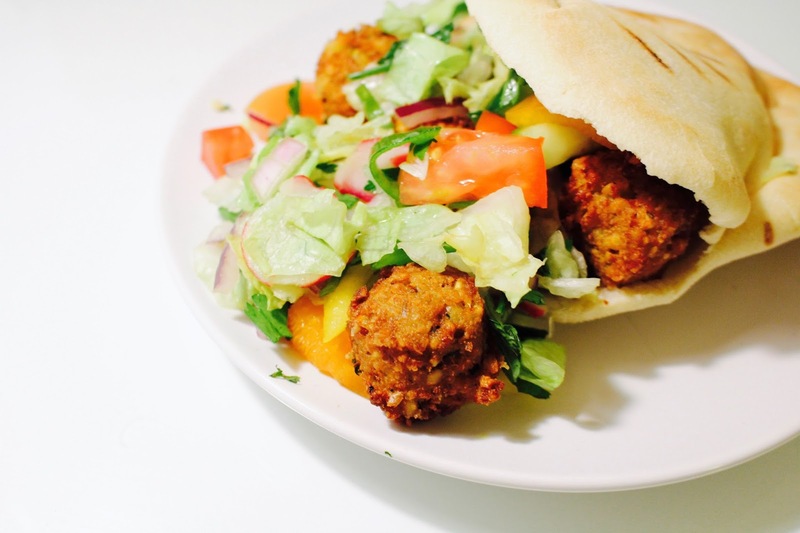 I know people who’d make a detour to get their hands on a Finjan pitta! My flat in Antwerp was a 2 minute bike ride away from Finjan, so I went several times. Even back in high school I used to come here with friends for a quick meal. It’s kind of of a fixed value in Antwerp. The menu is pretty extensive, they have a range of dips (hummus, tzaziki, baba ganoush), classic Lebanese salads and pittas. There’s a choice of different meats, but also plenty of vegetarian options, such as my favourite falafel pitta. Make sure to top it with ALL of the sauces (the garlic saude is to die for, just don’t make any more plans that evening. Or the next day for that matter). The fries here are actually pretty amazing too, very crunchy! 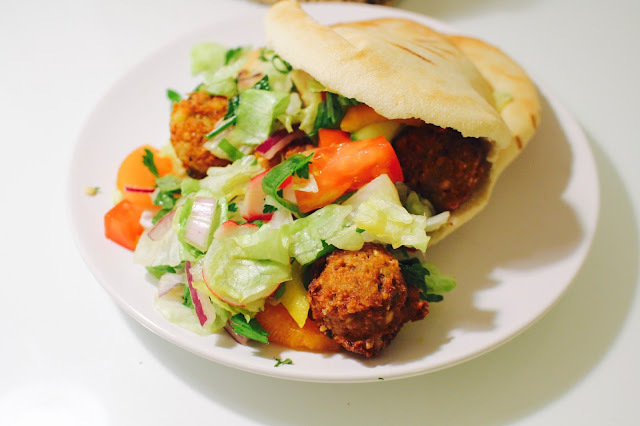 If you want to have a lighter meal skip the fries and go for a simple pitta or salad. The best part is that Finjan also delivers with Deliveroo, so you don’t even need to leave your couch & Netflix in order to have one of Antwerp’s best and cheapest meals. Because I lived to close by I never ordered through Deliveroo, so I can’t say anything about the quality. 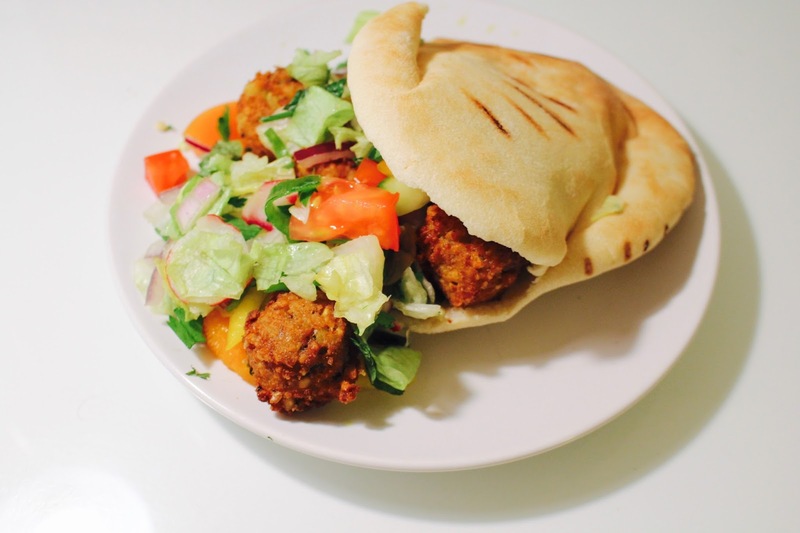 I imagine that the pittas are best eaten when they’re super fresh since they contain lettuce and fresh vegetables. 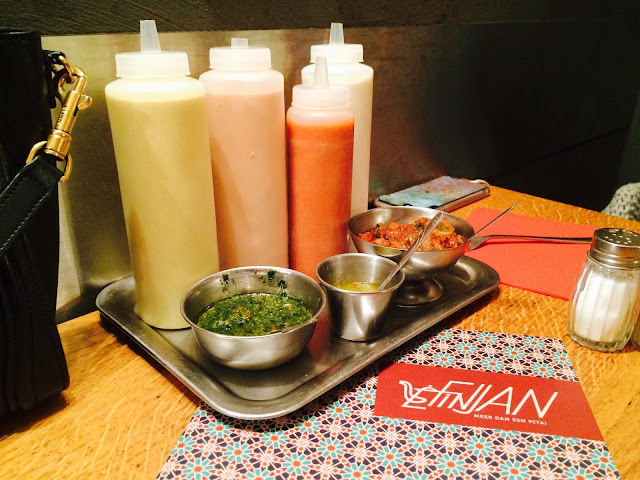 This is a perfect place for a meal with a group of friends because it’s pretty cheap (very student-friendly), super quick and the menu caters to everyone; vegetarians, vegans and meat lovers.